← Why did GOD end His revelations with Muhammad and not with Jesus? If Islam is so against any form of idol worship, why do they bow to the kaaba? Why do they call it God’s House? Do they believe He lives there? GOD Almighty’s Holy Temple in Islam is the Kaaba in Mecca. Also visit: The black stone in Mecca is not worshiped by Muslims. The Bible’s Sacred Idols in the OT and NT praised by both GOD Almighty and Jesus! In Exodus 25:1-40, Exodus 37:1-9, Exodus 26:1-20, Exodus 36:8-19, 1 Kings 6:19-38, 2 Chronicles 3:1-17 in the Bible, we read about gigantic sacred winged creatures (birds, lairs or big dragons) being made in the Holiest Temple of GOD Almighty, and were placed in the most holy place and also in the place of mercy! They are so holy that GOD Almighty was going to meet Moses in between them! 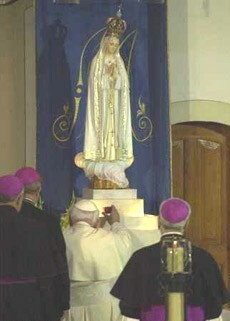 How is this not idol worship? Jesus also said that they are sacred because they’re in the temple (the gold is made sacred because it is in the temple: Matthew 23:16-22). The Arab pagans, before Islam, also had idols that they considered very holy! But Islam came and smashed all of them and cleaned the House of Allah Almighty (the Temple of GOD Almighty) from all of them. The Bible, however, remains paganistic for considering idols made of wood and gold in the temple to be holy. Yet, in Exodus 20:1-6, Deuteronomy 5:1-10 we are forbidden from building any image that resembles any creature, whether in Heaven or on earth! How can anybody explain this fundamental contradiction? Read the article below for ample more verses, analysis and details. Q11- If Islam is so against any form of idol worship, why do they bow to the kaaba? Why do they call it God‘s House? Do they believe He lives there? 1- The House/Temple of GOD Almighty in the Noble Quran and the Bible. 2- But aren’t Muslims still physically bowing down to the Kaaba itself? (a)- The blood of a Muslim Believer is more precious than the entire Kaaba! (b)- In Christianity, the temple is Holy. 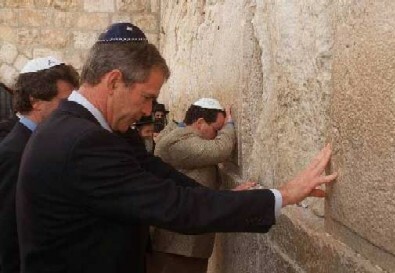 See pictures of GOD Almighty by these infidels! (i)- The Bible’s Holiest Temple has idols of creatures made of gold in it. 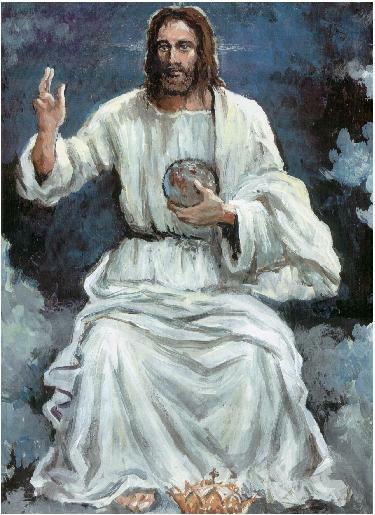 (ii)- The portraits of Jesus Christ and GOD Almighty are also images and idols! (iii)- The Kaaba during pagan times, with all the idols that were inside it and around it, is closer in similarity to the Bible’s Holiest Temple! 3- What is the difference then between the hindu idols and the Kaba? 4- What about the black stone near the Kaaba? How sacred is it? NASA confirms that the black stone was indeed sent from space. 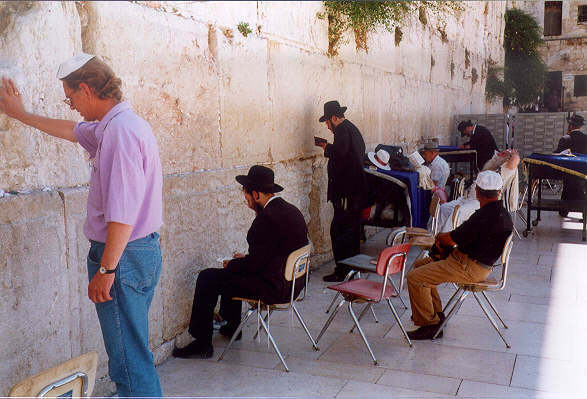 5- Is the Jews’ wailing wall idol worship? 18 Early the next morning Jacob took the stone he had placed under his head and set it up as a pillar and poured oil on top of it. As we clearly see, the “House of GOD”Almighty is mentioned in both the Bible and the Noble Quran. The Prostration to GOD Almighty in either His House or in the direction of His House (if you live far away) is the most proper way of Worship according to both the Bible and the Noble Quran. As we also clearly see, the House of GOD Almighty was mentioned in the Bible first. The Kaba or Kaaba (the black cube building in Saudi Arabia) is basically the symbolic point on earth (His House) that GOD Almighty Chose to have all of His True Believers meet Him through bowing down their faces in humility down to the ground before Him. The actual bricks and cement that make up the Kaaba are not holy. They are no more holier than the bricks and cement that we see on regular basis in the towns that we live in. The Kaaba is only the House of GOD Almighty and is the meeting place for us to meet the Almighty LORD by bowing down our faces in humility down to the ground before Him in that direction. GOD Almighty Chose that spot on earth to be the meeting place with Him, because It is His Grand Temple. We Worship Allah Almighty in His House/Temple. We never worship the Temple itself. So when Muslims prostrate to Allah Almighty, they prostrate in the direction that is as close as possible to Him. It was also prophesied in the Noble Quran that people from all over the world would come to the city of Mecca (where the Kaaba is located) for pilgrimage. Please visit: The detailed story of how the Kaaba was built by Abraham and his son Ishmael peace be upon them. During the early days of Islam, the Muslims were commanded to bow down to Allah Almighty in the direction of the Farthest Mosque (Al-Masjid Al-Aqsa) in Jerusalem, because it was the Holiest Mosque/Temple to worship Allah Almighty in back since it was not defiled with idols. 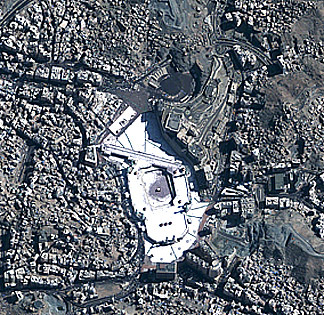 Allah Almighty then commanded Prophet Muhammad to order the Muslims to prostrate to Allah Almighty in the direction of the Kaaba in Mecca, because it was the House of GOD Almighty which was built by Prophet Abraham peace be upon him (mentioned also in the Bible), and because after the Muslims liberated Mecca in a 10,000 men army (this event was prophesied in the Bible), they cleaned the Kaaba from all idols. Please also visit: The Bible also called the path to Mecca “THE PATH OF HOLINESS”. We’ve already seen the “House of GOD”Almighty in both the Bible and the Noble Quran above. We’ve seen how the Prostration to GOD Almighty in either His House or in the direction of His House (if you live far away) is the most proper way of Worship. 5 “How beautiful are your tents, O Jacob, your dwelling places, O Israel! 18 Then once again I fell prostrate before the LORD for forty days and forty nights; I ate no bread and drank no water, because of all the sin you had committed, doing what was evil in the LORD’s sight and so provoking him to anger. 19 I feared the anger and wrath of the LORD, for he was angry enough with you to destroy you. But again the LORD listened to me. 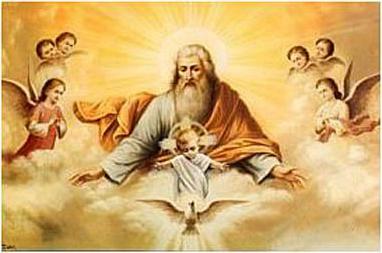 25 I lay prostrate before the LORD those forty days and forty nights because the LORD had said he would destroy you. When Muslims bow down to Allah Almighty in worship at their homes, they do not for instance bow down to the sofa, or to the pair of shoes, or to the table, or to the wall, or to the door, or to the TV, or to any object that is in front of them in their homes. They bow down to Allah Almighty only, regardless what’s in front of them AS LONG AS THEY ARE NOT WORSHIPING THAT OBJECT. The Kaaba is the same thing. We do not bow down to it in worship in any shape or form. We bow down only to Allah Almighty in its direction because it is His Appointed House where He symbolically meets His Servants and True Believers. The Kaaba makes the millions of Muslims all over the world Pray to Allah Almighty as one unified community. The direction of the Kaaba not only unifies the Muslims, but it also maximizes the Glorification and Praising of GOD Almighty. It maximizes the Glorification of GOD Almighty, because in the 5-daily Prayers, it is not only the individual who is Praising GOD, but also the millions of the Muslims world-wide (who are on the same time) are doing it almost simultaneously as if they were ONE CLOSE COMMUNITY. Now in regards to whether Allah Almighty living there or not, no we do not believe that Allah Almighty lives there. Allah Almighty is unlimited and is every where. Some anti-Islamics tried to compare the Muslims’ bowing towards the Kaaba to the hindus’ deification and glorification of their stones, by making idol gods and holy temples for these gods out of them. Islam is far from this! Why should this be of any surprise, when Allah Almighty had brought down all of the Angels under the feet of the human-believers when He commanded them to bow down to Adam? So no, we do not worship rocks and stones. 19 You blind men! 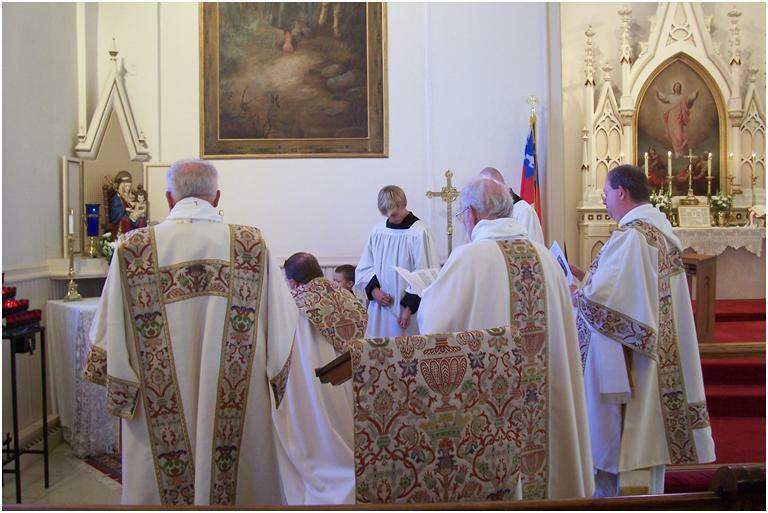 Which is greater: the gift, or the altar that makes the gift sacred? 20 Therefore, he who swears by the altar swears by it and by everything on it. 21 And he who swears by the temple swears by it and by the one who dwells in it. 22 And he who swears by heaven swears by God’s throne and by the one who sits on it. This is another example of why Christianity is full of corruption. No temple should be holy enough to equate it with GOD Almighty. By you swearing by the temple and by GOD Almighty, you are in essence making them both equal. This is a form of idol-worship. Notice how even Jesus himself said that the temple makes the gold that is in it sacred, and for the altar also making the gift sacred. These verses are some of the reasons why you see ‘holy idols’ of Jesus, Mary, the Angels, and even GOD Almighty (!) in all of the Christians’ churches. The Church, as an object, is a holy place to them – so holy that they could and would swear by it. And these idol-objects become holy by the Church. Please visit: Allah Almighty delcared the false religion of christianity to be no more than a man-made religion of “conjecture”. See also Jesus having long hair is considered stupid by Paul. (i)- The Bible’s Holiest Temple has idols of creatures that are made of gold in it! 1- Making Idols and even considering them Holy: Allowed or Not? Allowed with Jesus’ Confirmation as well! The sacred gold here is anything and everything in the temple that is made of gold. This certainly includes the Winged Creatures that are made of gold in the temple as well. In Exodus 25:1-40, Exodus 37:1-9, Exodus 26:1-20, Exodus 36:8-19, 1 Kings 6:19-38, 2 Chronicles 3:1-17 in the Bible, we read about gigantic sacred winged creatures (birds, lairs or big dragons) being made in the Holiest Temple of GOD Almighty, and were placed in the most holy place and also in the place of mercy! They are so holy that GOD Almighty was going to meet Moses in between them! How is this not idol worship? We also read about winged creatures images and idols used to decorating much of the temple’s curtains and places. Jesus also said that they are sacred because they’re in the temple (the gold is made sacred because it is in the temple: Matthew 23:16-22). The Arab pagans, before Islam, also had idols that they considered very holy! But Islam came and smashed all of them and cleaned the House of Allah Almighty (the Temple of GOD Almighty) from all of them. The Bible, however, remains paganistic for considering idols made of wood and gold in the temple to be holy. Yet, in Exodus 20:1-6, Deuteronomy 5:1-10 we are forbidden from building any image that resembles any creature, whether in Heaven or on earth! How can anybody explain this fundamental contradiction? It is indisputably clear that the Kaaba during pagan times, with all the idols that were inside it and around it, was closer in similarity to the current Bible’s Holiest Temple! Indeed, Jesus Christ, the man, is only a Messenger from Allah Almighty, and he was never crucified. Isaiah 53 and Psalm 91 are discussed in great details in this link. 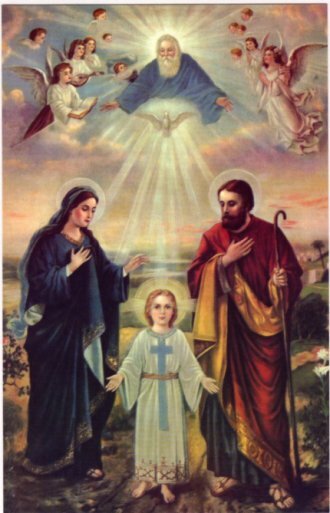 along with images of Angels, Christ, Mary and others. 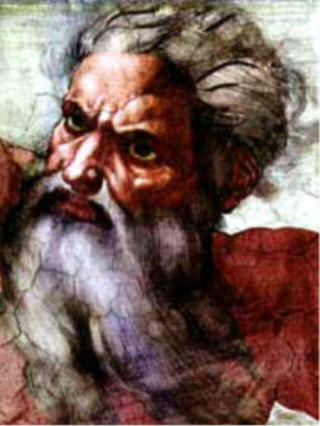 Again, please visit: Jesus having long hair is considered stupid by Paul. (ii)- But the portraits are not images and idols?! 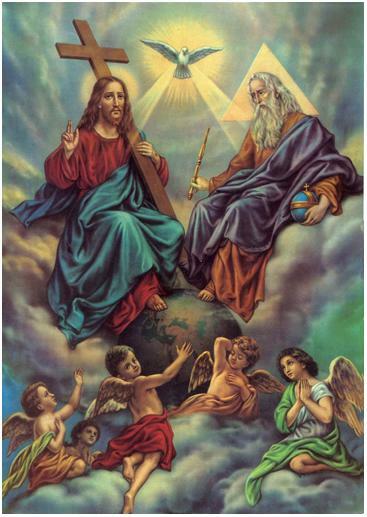 Many many Christians are so superficial in their thinking that they believe that those portraits and graven idols of Allah Almighty and the other creations of Allah Almighty are not the idols and images that the Old Testament verses, above, prohibited. This is quite ridiculous and absurd at best! What is it that is impossible to comprehend about whenever you dare to draw or carve a picture or object of Allah Almighty, you are in actuality creating an idol to worship? Is this how Allah Almighty really looks like? I say quit this blasphemy that is called christianity, because it is no more than a man-made conjecture, as Allah Almighty specifically called this false religion in the Glorious Quran! Again, for more verses and details, please visit: Do Muslims really worship the Kaaba? Also visit: The Overwhelming Scientific Miracles in the Glorious Quran. (iii)- The Kaaba during pagan times, with all the idols that were inside it and around it, was closer in similarity to the current Bible’s Holiest Temple! I honestly don’t see how this statement is false! Again, in Exodus 25:1-40, Exodus 37:1-9, Exodus 26:1-20, Exodus 36:8-19, 1 Kings 6:19-38, 2 Chronicles 3:1-17 in the Bible, we read about gigantic sacred winged creatures (birds, lairs or big dragons) being made in the Holiest Temple of GOD Almighty, and were placed in the most holy place and also in the place of mercy! They are so holy that GOD Almighty was going to meet Moses in between them! 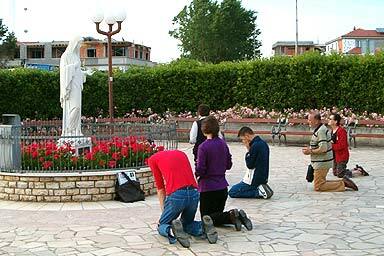 How is this not idol worship? We also read about winged creatures images and idols used to decorating much of the temple’s curtains and places. Jesus also said that they are sacred because they’re in the temple (the gold is made sacred because it is in the temple: Matthew 23:16-22). The Arab pagans, before Islam, also had idols that they considered very holy! But Islam came and smashed all of them and cleaned the House of Allah Almighty (the Temple of GOD Almighty) from all of them. The Bible, however, remains paganistic for considering idols made of wood and gold in the temple to be holy. Yet, in Exodus 20:1-6, Deuteronomy 5:1-10 we are forbidden from building any image that resembles any creature, whether in Heaven or on earth! How can anybody explain this fundamental contradiction? 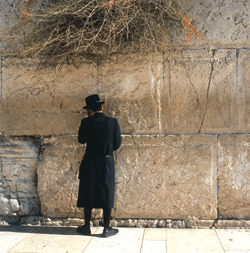 Again, please visit: The Bible also called the path to Mecca “THE PATH OF HOLINESS”. The Muslims on the hand are not idol worshipers. And neither were the Bible’s Prophets (including Jesus), peace be upon them, who prostrated to GOD Almighty. There is a difference between worshiping GOD Almighty in the direction of His House, and putting idols and praying to them. The black stone is like the bricks and cement that make up the Kaaba. It is not holy at all and is not worshiped in any shape or form. The black stone is nothing but a Heavenly object (an asteroid) that GOD Almighty descended on earth to determine the exact location of where His House was going to be built by Abraham and his son Ishmael, peace be upon them. While Prophet Muhammad peace be upon him kissed the stone before, because it was chosen by Allah Almighty to descend on earth to determine the location of the Kaaba, but that still doesn’t make it anything holy. It certainly makes it a remarkable and noticeable object that is worth visiting and seeing, but anyone who worships it is an idol worshiper! And like I said above, those ignorant and illiterate from the Muslims who go as far as rubbing themselves against the Kaaba and/or the stone to get “blessings” are not representing Islam’s True picture at all. For more information, please visit: The black stone in Mecca is not worshiped by Muslims. 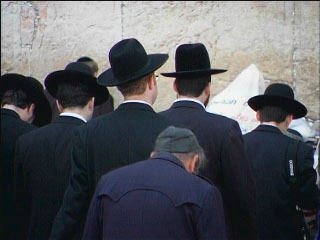 Are Jews idol worshipers for praying to GOD Almighty while directly facing the wailing wall in a very close distance? It is clear that the Muslims today are the only ones who truly Glorify GOD Almighty in the Maximum way. 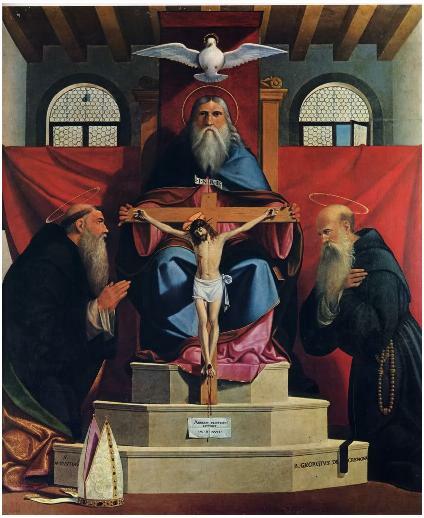 Even Jesus, the polytheist trinitarian pagans’ god, Worshiped GOD Almighty and Glorified Him the Islamic way. Even though it was done hypocritically because he only did it once and during his most desperate times, and he has never done it before, but he still nonetheless showed that the Islamic way is the BEST WAY to really Glorify GOD Almighty in. Of course, the reader needs to know that the Jesus of the Bible is not the same as the Jesus of Islam. Islam is truly the best Faith to Worship, Praise and Glorify GOD Almighty in. Therefore, embrace Islam and you will be saved. Back to “Ask me any question” section. Allah Almighty delcared the false religion of christianity to be no more than a man-made religion of “conjecture”. The black stone in Mecca is not worshiped by Muslims. The Bible also called the path to Mecca “THE PATH OF HOLINESS”. Praying (Salah) is a must in the Noble Quran. Learn how to pray. Detailed instructions with pictures and audio. Can we use other than the language of Arabic when we pray to Allah Almighty? Prophet Abraham peace be upon him was the one who built the Kaaba in the Bible. The army of 10,000 Muslim men liberating Mecca was prophesied in the Bible. The Prophecy of the yearly pilgrimage to Mecca in the Noble Quran. The detailed story of how the Kaaba was built by Abraham and his son Ishmael peace be upon them. Jesus is a hypocrite for only bowing down to GOD Almighty once during his most desperate times. Rebuttal to Sam Shamoun’s “Stone Kissing and Idolatry” article. This entry was posted in Q&A and tagged bible, Exodus, God, GOD Almighty, islam, Jesus, Kaaba, mecca, Muslim. Bookmark the permalink.